$24.00 per room Carpet Cleaning when you clean 5 rooms or more. Stairs not included. 10% OFF any new customer * $100.00 Min. with the coupon printed on the right. Raleigh Carpet Cleaning – Deals in Raleigh, NC No gimmicks just clean carpets. Carpet Cleaning deals in Raleigh, NC: large % off deals in Raleigh. Steam Carpet Cleaning for Three or Five Rooms and One Hallway Specials. Alert carpet Cleaning has been cleaning carpets for over 20 years and has been a leader in the carpet cleaning industry. We have all the latest carpet cleaning equipment and training and can clean your carpets right the first time. Offering top carpet cleaning services that are second to none. NC Carpet Cleaning Company Alert Carpet Cleaning offers environmentally friendly carpet and upholstery cleaning and services the Raleigh, Durham, Cary, Apex, Holly Springs, Morrisville and the RTP areas. 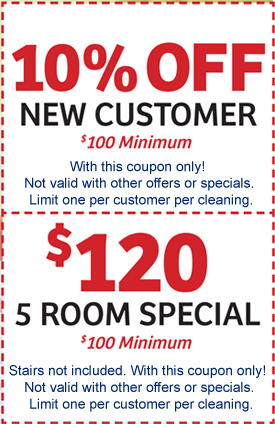 We promise no gimmicks… Just an honest good cleaning at a fair price. Alert CleanSafe uses a process called Steam Cleaning, otherwise known as Hot Water Extraction. We use truck-mounted Steam Cleaning Systems which offer higher water temperatures, and maximum extraction to safely and effectively clean your carpets and reduce drying time. The Steam Cleaning procedure is quick and simple with minimal “down time” and is minimally invasive to your hectic lifestyle. Carpet Cleaning Steamer Services. We are the Elite Carpet Cleaning Services in Raleigh NC. With Over 20 years of steam cleaning rugs, carpets and remnant rugs. An Alert CleanSafe technician will review the carpet with you for any areas that may need extra attention for stain removal, “bleaching” or repair. The entire area will be pre-treated for maximum spot removal. A solution of hot water and cleaning agents will be applied to the carpet. During this process the cleaning agents will loosen the soil, and the solution and the dirt will be extracted. Also during this process, the carpet will be rinsed with a neutralizing agent to help regulate the pH in the carpet. For best results Alert CleanSafe highly recommends vacuuming the area to be cleaned before we arrive. The carpet cleaning “wand” we use forms a seal with the carpet to ensure maximum extraction and deep dirt removal, therefore it does not serve as a vacuum for the surface. Vacuuming before steam cleaning prevents debris from simply being pushed around on the carpet. SCHEDULE MY CARPET CLEANING TODAY! SCHEDULE MY AIR DUCT CLEANING TODAY!